Outdoor flooring turns out to be perfect for sprucing up your patio! If the first thing that you think when envisaging outdoor flooring is that green, fuzzy, grass-like carpet then you are not the only one. This flooring for the outdoors is dependable, water resistant and weatherproof and now Amazing floors offers it in many colors than just the bright green color that is always settled for by the majority. This kind of outdoor floor is used in many areas from the deck of the boat to the back patio of the house. Outdoor floor tiles used to be one of the few choices when it comes to the outdoor flooring options. However, today? Ready yourself to shop around for many various types and textures of flooring for your outdoors. Who will use the floor? Rubber is the best option when there are kids or elderly around. Taking a fall on the outdoor flooring will be much softer than brick and concrete. There is also a less slip option when buying this kind of outdoor flooring that takes safety as well as a precaution to another level. Where will this flooring be placed? Most of the floors have various functions. For instance, availability of cork flooring but if it is placed directly outside with no coverage at all then it may wear faster than wood. If the space of the flooring is in constant under sunlight along with being susceptible to many types of weather then you may not want to take into consideration tougher flooring. Rubber outdoor flooring will prove to be great because of its resistance to sunlight and especially to ultraviolet rays. How long do you plan to stay at home? With many twists and turns in life, it is hard to know how long you will be living in one place. If you are presently residing at home and you are not sure as to whether or not it is permanent, more permanent flooring will not be the best choice for you. 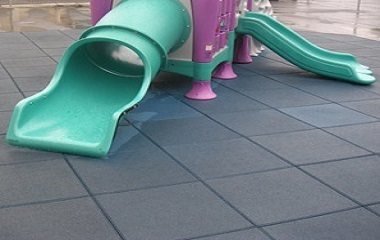 Rubber outdoor flooring is easily portable which means it will be a better investment than brick or wood. What styles are you going to opt for? There are several outdoor flooring options, each gives a different look as well as feel to the space that you want to the decor. If you want a more natural like look to blend in perfectly with your garden then try out outdoor rubber carpeting. Outdoor rubber tile also comes in various colors and shapes and can provide a more elegant and fancy look to your backyard. With many outdoor flooring options right at your fingertips, it is difficult to know which one you are going to opt for, however, with evaluation as well as consideration of different circumstances, sliming the outdoor flooring options that are provided by us will not be overwhelming and you will be able to get an outdoor floor that will satisfy you and will come with additional perks such as on-time delivery!